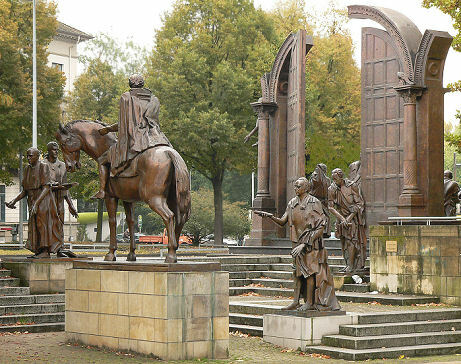 The Göttingen Seven. Top row: Wilhelm Grimm, Jacob Grimm(Brothers Grimm). On November 18, 1837, a group of 7 university professors from the University of Göttingen protested against the abolition or alteration of the constitution of the Kingdom of Hanover by Ernest Augustus and refused to swear an oath to the new king of Hanover. The Göttingen Seven (in German “Göttinger Sieben“) were led by Friedrich Christoph Dahlmann, who himself was one of the key advocates of the unadulterated constitution. 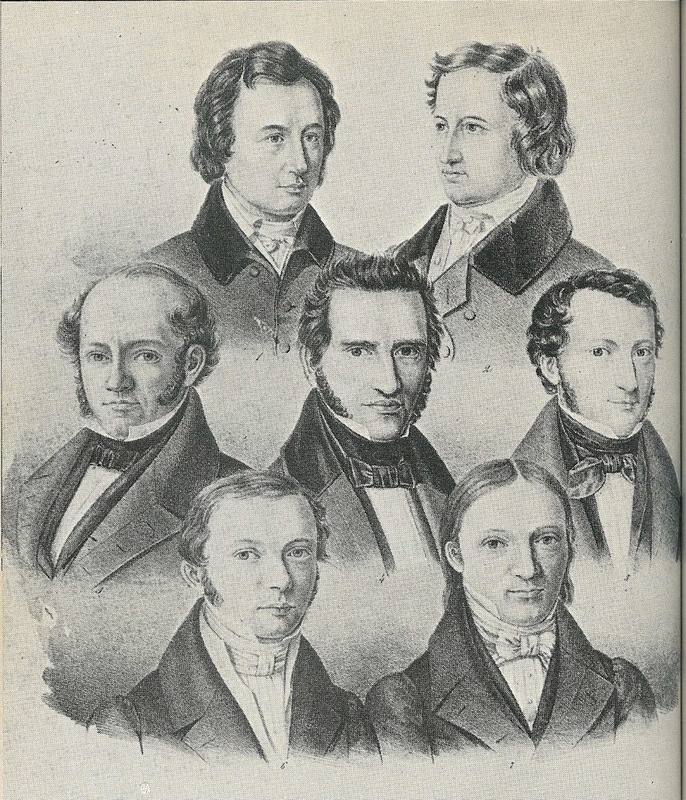 The other six were the Germanist brothers Wilhelm and Jacob Grimm (famed fairy tale and folk tale writers and storytellers; known together as the Brothers Grimm), the jurist Wilhelm Eduard Albrecht, the historian Georg Gottfried Gervinus, the physicist Wilhelm Eduard Weber, and the theologian and orientalist Heinrich Ewald. 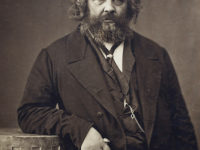 Back in 1833, after tedious negotiations, a constitution came into force in the kingdom of Hanover that belonged to the group of comparatively liberal constitutional states of the German Confederation. The historian and politician Christoph Friedrich Dahlmann was one of the main contributors to its framing as representative of the University of Göttingen in the second chamber of the noble court. With the death of King William IV of Great Britain and Hanover on June 20, 1837, the personal union between both states came to an end and William’s brother, Ernest Augustus, took over as ruler. 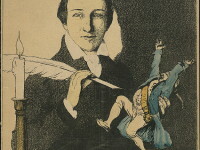 Immediately after taking over power, he declared on July 5, 1837 that he did not feel bound to the constitution which would not have come about without his consent which finally lead to the cancelation of the constitution on November 1. 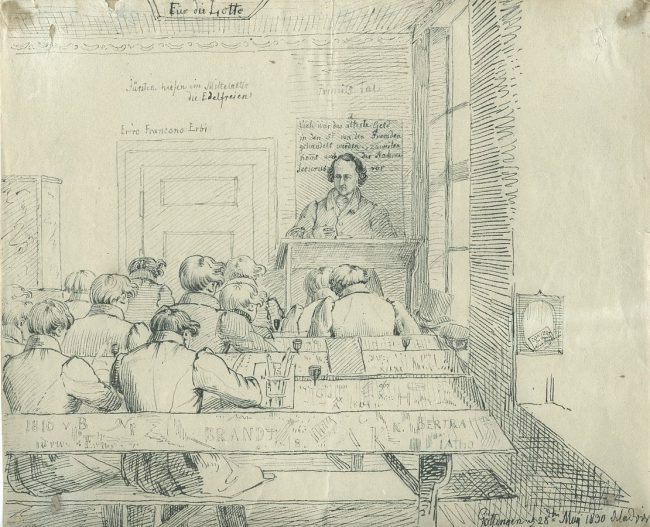 Dahlmann tried to persuade the University of Göttingen to oppose, but only six other professors, however, were willing to sign, among them the Germanists Jakob and Wilhelm Grimm. 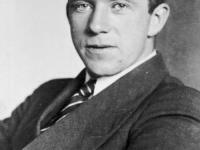 The document developed its true explosive force the moment it was published and soon was disseminated throughout Germany. Now king Ernst August felt forced to take drastic measures, in order to save face as still a “young” ruler. On December 4, the seven professors from Göttingen were questioned before the University court and relieved of their posts already a few days after. Dahlmann, Gervinus and Jakob Grimm had to leave Göttingen within three days, due to distribution of the document outside of the kingdom, and were expelled from the country. The others were allowed to remain in Göttingen after their release. While the actual, direct effects of the protest were limited, public sensation and media interest that occurred in Germany and much of Europe was high, and the seven were popular among the general public. For the city and the University of Göttingen, the protest of the seven professors was at first a large disadvantage, since their reputation sank in the eyes of the academic world. It became more and more difficult for the University to attract respected professors to Göttingen and, as a result, the students preferred to attend other universities. 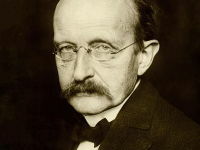 The efforts of the Göttingen Seven outlived each of them, and the impact they caused on German politics at large can be, in some part, attributed to the creation of a liberal republic in Germany. At yovisto academic video search you can learn more about the Brothers’ Grimm most favourite hobby fairy tales and the future of storytelling from Prof. Armando Maggi in his lecture on Preserving the Spell: Fairy Tales and the Future of Story Telling.